Condolence book for Mrs Zondeni Veronica Sobukwe, “The Mother of Azania” of the Republic of South Africa. 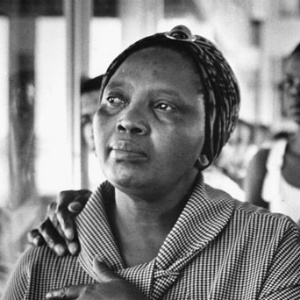 It is with deep sadness, that the Embassy of the Republic of South Africa hereby informs that Mrs Zondeni Veronica Sobukwe also known as “The Mother of Azania,” passed away on in Wednesday, 15 August 2018 in South Africa. A book of condolences will be opened at the Embassy, located at 3051 Massachusetts Avenue, NW, from Friday 17th August to Saturday 25th August, 2018 from 10:00 am to 16:00 pm, for all those wishing to convey their respects to the memory of the late Mrs Sobukwe.